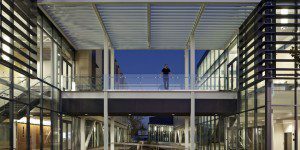 The traditional, UC Davis full-time MBA offers classes at the UC Davis main campus in Davis. Students can earn an MBA in general management, or can choose from concentration areas such as Entrepreneurship, Innovation, Strategy, or Business Analytics. A cohort structure helps to optimize learning. The curriculum is anchored by IMPACT, a two-part capstone course in Integrated Management Practicum and Articulation and Critical Thinking. The program begins in the fall and spans 21 months. The UC Davis full-time MBA degree requires 72 units of coursework, comprised of 27 units of core courses and 45 units of electives. The required core curriculum is designed to provide a foundation in the functional areas of business-accounting, economics, finance, marketing, organizational behavior, statistics, and strategy. These management disciplines are examined through the use of case studies, lectures, and the analysis of a few select companies on which to base illustrations and spark discussions. As early as the first year of study, students are able to integrate elective courses into their personal curriculum. During the summer between the first and second year of the program, students are encouraged to participate in an internship. Summer internships are an exciting opportunity to apply your newly acquired MBA skills in a rich learning experience that strengthens the professional profile and rounds out the academic experience. Exchange program for a quarter at one of more than a dozen partner schools, such as Fundacao Getulio Vargas in Brazil, HEC School of Management in France and Hong Kong University of Science and Technology. Elective courses at the Graduate School of Management place an emphasis on real-world application of management principles through the use of executive guest speakers who present “live” case study analyses and actual “client” businesses for student projects. Many courses require team projects and emphasize managing by innovation and entrepreneurialism. These team projects develop independent research abilities and hone presentation skills. New Industry Immersion opportunities are offered that capitalize on UC Davis’ strengths in Food and Agriculture, Sustainable Energy, Biotechnology, and Technology Finance. The most recent UC Davis full-time MBA class at the UC Davis Graduate School of Management featured 47 total students, 53 percent of which identified as male and 47 percent female. Students entered the program with 5.6 years of professional experience, a median GMAT score of 669, and were on average 29-years old. The average undergraduate GPA of entering students was 3.4. The total annual cost of tuition for UC Davis full-time MBA students is $38,849 for California residents and $51,094 for out-of-state students. Included with extra living expenses, supplies, and health insurance (which can be waived with prior proper insurance), the total estimated cost for California residents per year is $62,765 and out-of-state residents is $75,010. Eight out of ten incoming MBA students receive a scholarship or fellowship. Assistantships are available to second-year students in several fields, offering reduced tuition and a monthly stipend. Dean’s Scholarships are awarded by the Admissions Committee and provide $30,000 per year for both years of study. Faculty Scholarships recognize candidates who have demonstrated the potential to make an outstanding contribution to the UC-Davis experience. UC Davis also offers merit scholarships to candidates who have stood out during the admissions process. They provide awards that range from $3,000 to $39,000. Federal Direct Loans and University of California Grants are available to U.S. citizens and permanent residents. To apply to the UC Davis full-time MBA program, applicants must submit a completed application form, official copies of transcripts from each institution attended, current résumé and two professional letters of recommendation. The school also requires applicants to submit one essay and one personal introduction. Official GMAT score or GRE scores must also be sent in by applicants, along with a $125 application fee.